It's time to update y'all about the happenings of one of my favorite places in my classroom - the puzzle table. Even though Valentine's Day was LAST week, I've got a bit of a Valentine/Heart themed puzzle out for my students to tackle this week. 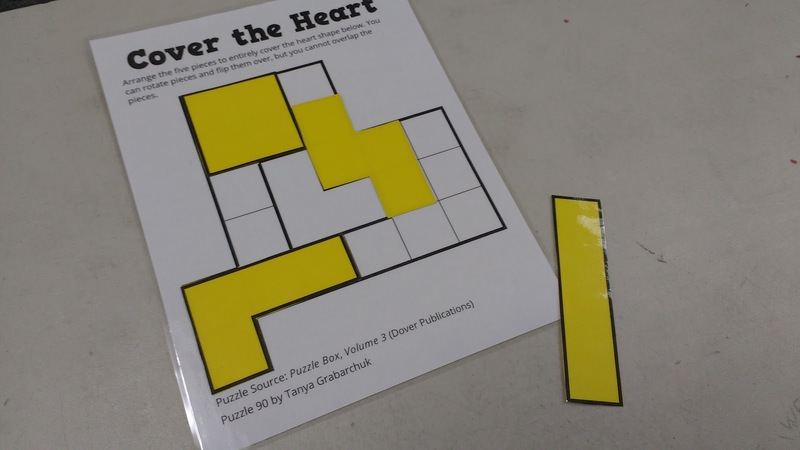 I found this puzzle in Puzzle Box, Volume 3 (affiliate link), and I've decided to call it "Cover the Heart." The puzzle was created by Tanya Grabarchuk. 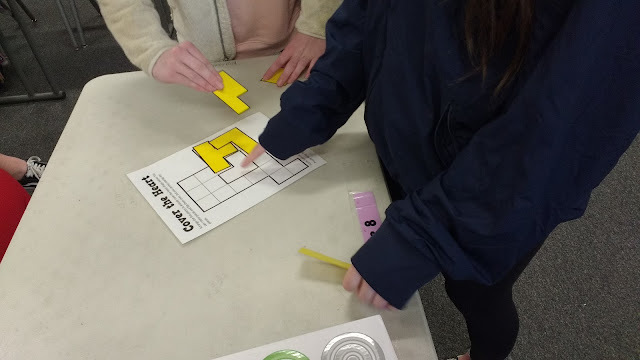 The only thing I did was create a version of the puzzle with physical pieces of the puzzle for my students to move around. This puzzle book (and the entire series for that fact!) 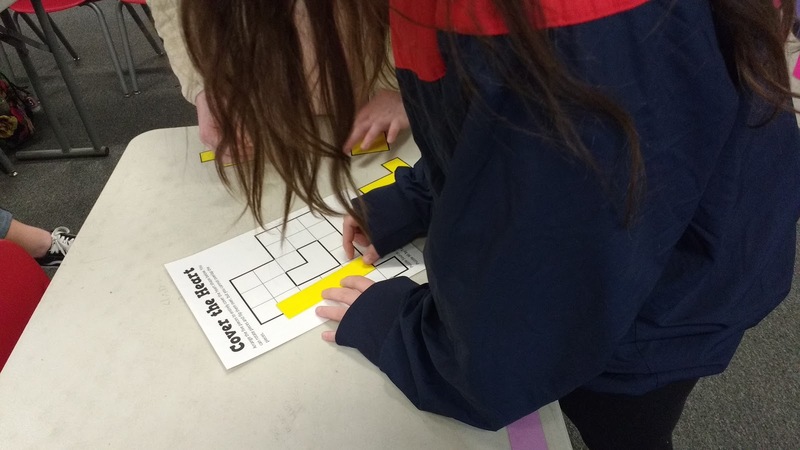 are chock-full of puzzles that can easily be adapted for classroom use. The instructions are pretty simple. Arrange the five pieces to entirely cover the heart shape below. You can rotate pieces and flip them over, but you cannot overlap the pieces. If you've already tried the Cover the Duck or Cover the Camel Puzzles with your students, you will be excited to hear that this puzzle uses the EXACT same pieces! 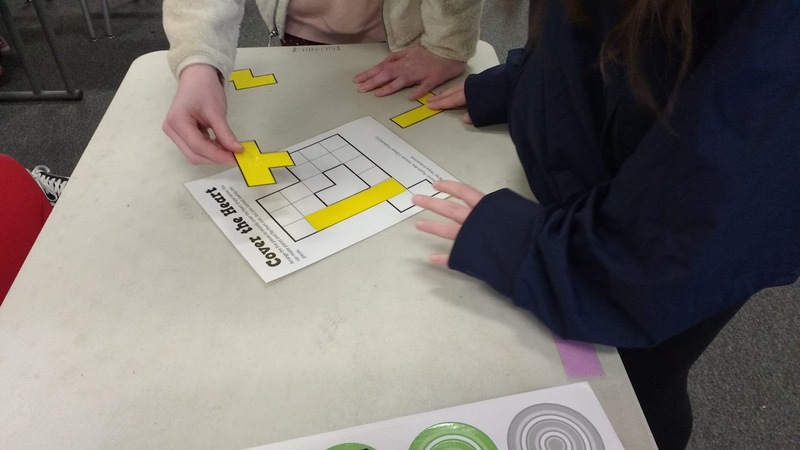 It was nice to be able to just print out another puzzle board and not have to laminate any new puzzle pieces. Speaking of other puzzles, did you hear that I created a new page on my blog solely dedicated to puzzles?!? You can find links to every single puzzle I have ever blogged about here. I did run into one snafu with this puzzle that I was NOT expecting. 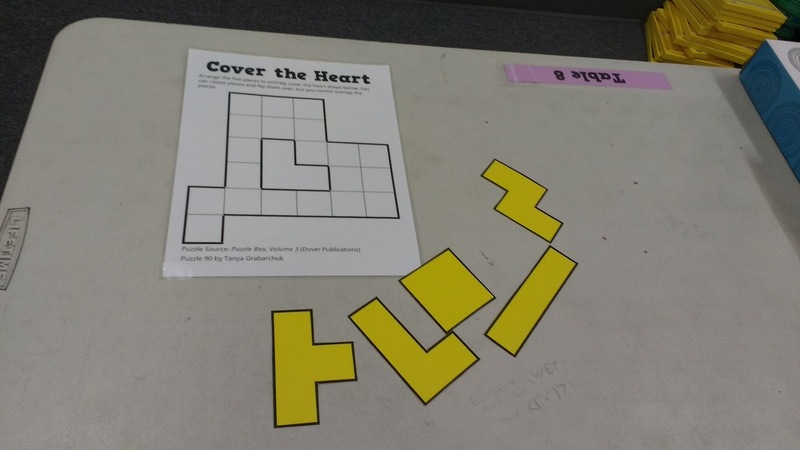 Some of my students thought that the heart that they were supposed to be covering was the heart in the middle of the shape instead of the overall heart shape. I guess I need to figure out a way to clarify the instructions to make it clear exactly what part of the shape students should be covering. You can download the file for this puzzle here. Special thanks to the Grabarchuk Family for providing me a free copy of this book! 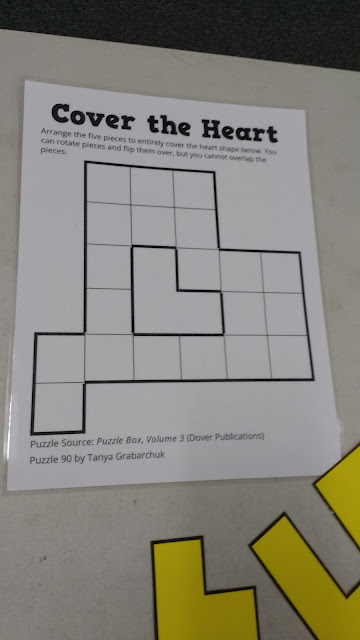 If you've been enjoying using the puzzles from the Grabarchuk Family's books, I highly recommending supporting them by purchasing a copy of one of their books from Amazon. 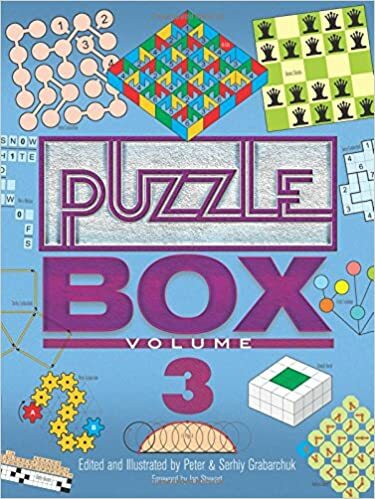 Each Puzzle Box book (affiliate link) contains 300 awesome puzzles that you can use with your students or for your own puzzle solving enjoyment.